Church´s Shoes is a top brand of timeless style and refined details. This English shoe company was established in England Northampton in 1873 by Thomas Church´s with help of his wife and two sons. Furthermore the town of Northampton has been established as a leather and footwear town since 17th century. Church´s represents the old English shoe heritage with modern touch. Classical styles as oxford shoes or penny loafers are updated with currents shapes and details still cherishing the ageless English shoe design heritage which never goes out of style. 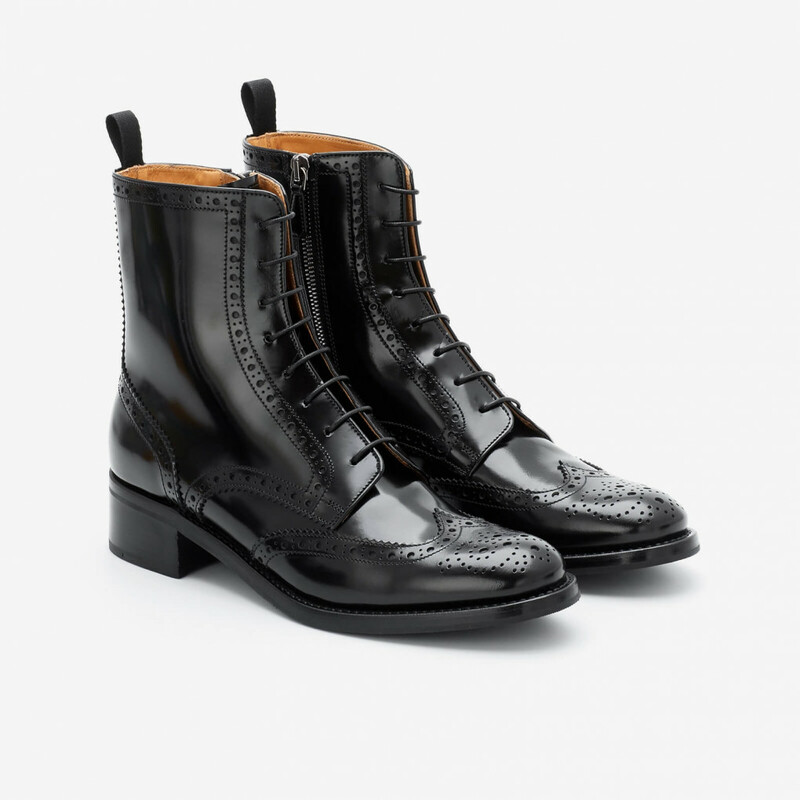 Sylvie derby boot is decorated with classical wingtip brogue detailing. Derby refers to the open construction of the shoe where the quarters are stitched on the vamp creating a comfortable pleasant fit. In contrast to the closed oxford construction where the quarters are stitched under the vamp creating more formal appeal and tighter fit. Sylvie features zipper on the inside for easy wear. The leather is coated thus suitable for variable weather conditions. Pull tab on the back. 8-eyelet lacing with waxed cotton laces. 1 x Sylvie Derby Boot was added to your shopping bag. 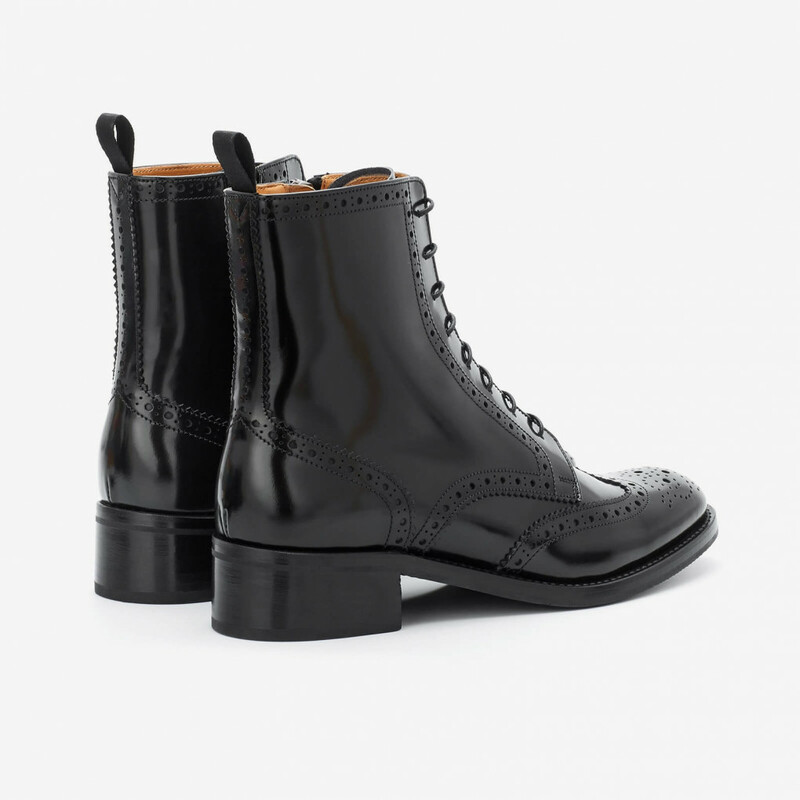 1 x Sylvie Derby Boot was added to your wishlist.